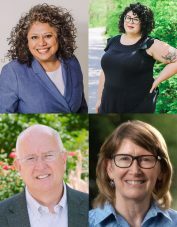 The pre-election fundraising reports are in, and it’s time to take a look at how much money candidates have raised so far during their campaigns in Fayetteville. 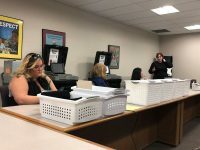 State law requires any opposed municipal candidate who received or spent more than $500 to file official reports with the county clerk’s office. As part of the requirements, each candidate must list all contributions over $50 and all expenditures over $100. The reports are to cover all campaign activity through Oct. 27. 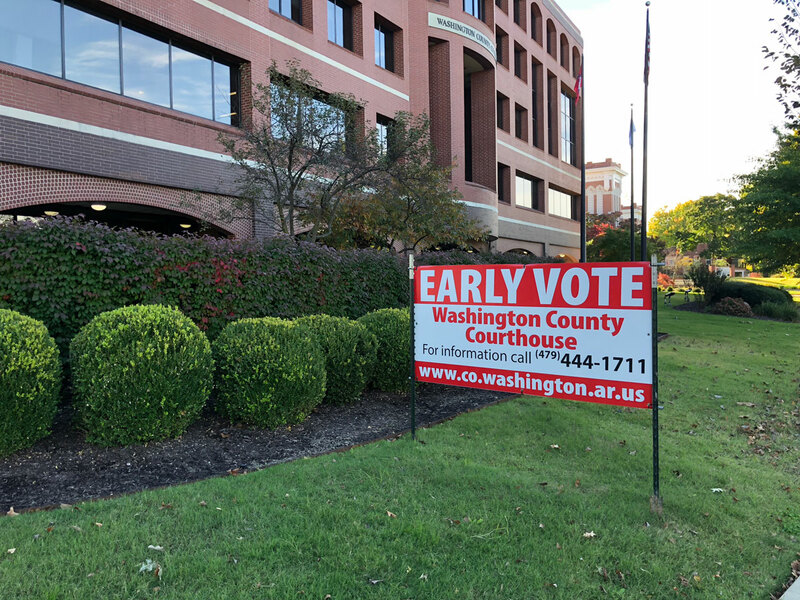 According to finance and expenditure reports filed Oct. 30, Fayetteville’s City Council candidates have so far raised $20,732 and spent $31,355. Campaign loans, most of which came from the candidates’ own personal money, account for the difference. Final campaign contribution and expenditure reports for all municipal candidates are due 30 days after the end of the month in which the candidate’s name appears on the ballot, which is Dec. 30. Educator and civil rights advocate Sonia Gutierrez raised the most money in Ward 1 at $3,725. She did not report any loans to her campaign. Gutierrez’s largest donations were $500 from Dr. Rob Karas of Fayetteville and $500 from Salvador Gutierrez of Springdale. She reported spending $2,305 on advertising and campaign materials. GIS professional and Army National Guard veteran Kris Paxton raised the third-most money in Ward 1 at $1,425. He did not report any personal loans to his campaign, but noted $1,175 in combined donations from he and his wife. He also received $250 from the Fayetteville Chamber of Commerce as part of the chamber’s endorsement. Paxton reported spending $1,384 on advertising and campaign materials. Local artist and tradesperson Olivia Trimble raised the second-most money in Ward 1 at $3,490. She did not report any loans to her campaign. Her largest donations were $500 from Sanjeev Singh of Fayetteville, and $250 each from Zara Niederman of Fayetteville and Kim Cash of Hackett. Trimble reported spending $3,412 on advertising and campaign materials. Longtime local musician and socialist activist Martin Bemberg didn’t file a form because he didn’t raise or spend at least $500. Retail support manager Raymond Burks raised the most money in Ward 2 at $736. He did not report any loans to his campaign, but did donate $100 of his own money. Burks’ largest donation was $250 from Dr. Rob Karas of Fayetteville. He reported spending $711 on campaign ads and materials. Mortgage loan officer and eight-year City Council member Mark Kinion raised the second-most money in Ward 2 at $725. He did not report any loans to his campaign. Kinion’s largest donation was $250 from Susan Norton of Fayetteville. He reported spending $6 on bank fees. University of Arkansas instructor Lucas Regnier raised the most money in Ward 3 at $1,700. He reported a $4,000 personal loan to his campaign. His largest donations were $1,000 from the Arkansas Realtors Political Action Committee and $500 from Dr. Rob Karas of Fayetteville. Regnier reported spending $3,630 on advertising and campaign materials. University of Arkansas instructor and real estate agent Sloan Scroggin raised the second-most money in Ward 3 at $1,351. He reported $3,800 in personal loans to his campaign. His largest donations included $250 each from family members in Little Rock and Tennessee, and $250 from Brandon and Jade Crisel of Fayetteville. He also received $250 from the Fayetteville Chamber of Commerce as part of the chamber’s endorsement. Scroggin reported spending $4,967 on campaign materials and advertising. Longtime local busser and political candidate Adam Fire Cat didn’t file a form because he didn’t raise or spend at least $500. Certified public accountant and four-year City Council member John La Tour raised the second-most money in Ward 4 at $1,500. He reported a $3,117 personal loan to his campaign and a $4,607 loan from Data Forms, Inc. of Greenland. His largest donations were $1,000 from the Arkansas Realtors Political Action Committee and $250 from Justin Lidholm of Fayetteville. La Tour also received $250 from the Fayetteville Chamber of Commerce as part of the chamber’s endorsement. He reported spending $8,297 for advertising and campaign materials, including a $2,725 payment to himself for business use of vehicles. Environmental consultant Teresa Turk raised the most money in Ward 4 at $6,080. She reported $3,060 in personal loans to her campaign. Turk’s largest donations were $2,700 from Nancy Harris of Fayetteville, $500 from Dr. Rob Karas of Fayetteville and $500 from Bob Allen of Dover, Arkansas. She reported spending $6,673 on advertising and campaign materials. * Candidates who don’t raise or spend at least $500 aren’t required to fill out a campaign finances form.